I love to look at houses. I love to look at designer homes on Instagram and in magazines and on pinterest and get ideas. But I also like to just see real life normal homes. Ones decorated on a budget and by moms of young kids who "can't have nice things" or apartments where single girls live or a retired couple's home. I always want to just knock on doors of homes in my town and ask if I can have a tour. I love to see how people live. 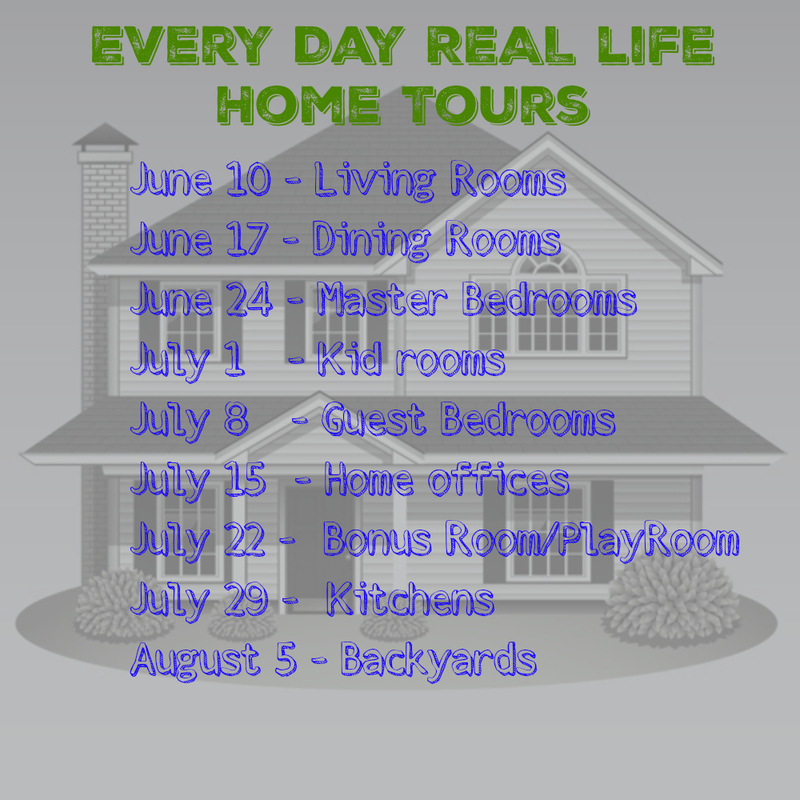 So we will be having a blog home tour starting next week!! This is not just for designer perfect homes but for everyone! If you have a blog - link up!!! It will be so fun! I will have a hashtag themed for each week so we can also post on IG. Get ready to post your living rooms next week!